This stunning Ducati Panigale V4 streetfighter could be the shape of things to come with Ducati promising more models with the MotoGP-derived engine. 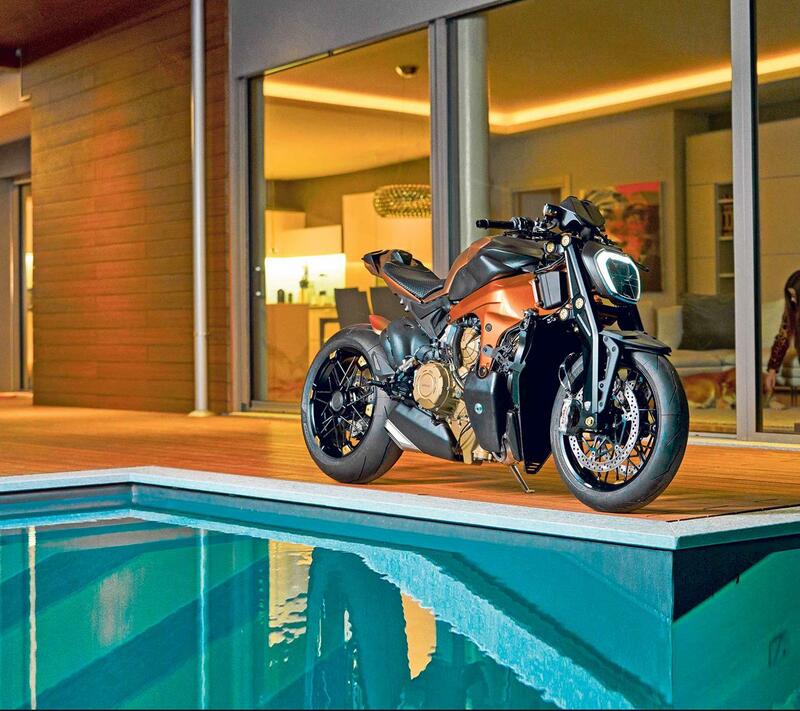 Italian design house Officine GP Design are building ten of these power-packed machines. One of its most striking features is the front end with the USD forks replaced by a girder fork from FG Racing made from solid billet aluminium with an Öhlins shock. But equally striking are the custom spoked wheels from Jonich SX, which not only look wild but provide the performance expected from modern tubeless tyres. The tank and frame have been re-covered with a specially-made textured copper skin. The lights are from a Ducati Diavel while the dash is standard model but on a special 3D printed mount. There’s a leather saddle by Foglizzo with V4 Penta logo along with Rizoma parts including fuel cap, levers and footrests. The build was undertaken independently of the Ducati factory but does show the potential of the V4 platform. And Ducati CEO Claudio Domenicali has stated we will see more bikes with the V4 engine. Speaking to MCN in November last year, he said: "We will release 29 new models over the next five years. We will continue to develop new versions of existing products but will also be entering segments that we are not currently in. As part of that, we will use the V4 engine in different platforms." Now that, of course, could mean anything but there are a few clues. Ducati have a strong history at the Pikes Peak hillclimb in the US, including holding the current record, and have gone as far as naming a model after it. And although the 2019 event is still six months away, Ducati rider Carlin Dunne is already on the start list in the Exhibition class with a bike called '2019 Ducati TBD'. As Pikes Peak’s rules ban fairings and clip-on bars, this naturally sets the mind whirling. Could Dunne take to the start on a modified V4 with flat bars or maybe even a V4 Streetfighter concept? Only time will tell. 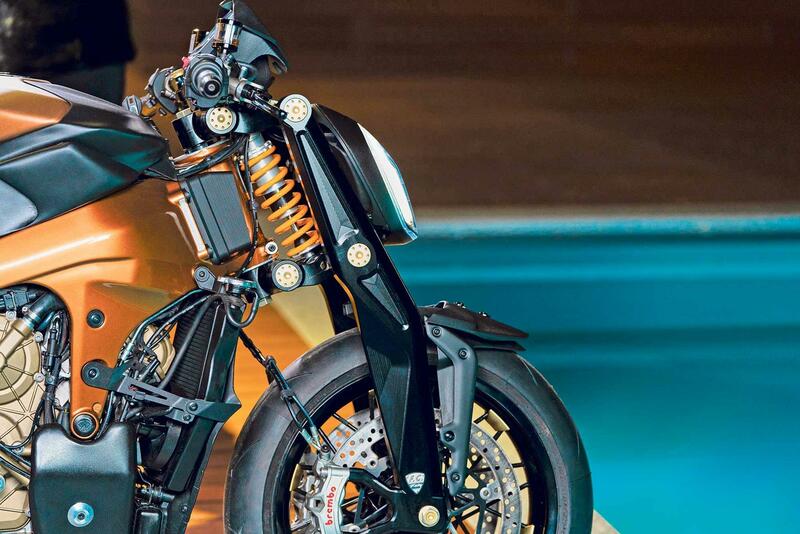 In the meantime, if you want to get hold of a V4 Streetfighter then you need £87,000. Find a used motorbike for sale. Senior Reporter, owns some old bikes. Should know better. Fancy owning an Italian twin? Honda’s RC213V-S really is a MotoGP bike with lights and as close to the real thing as is practical. It’s clearly a rich man’s toy but it’s absolutely wonderful that it exists. It shows Honda really does have a heart.